Netflix, the world's leading Internet television network, and The CW Network, a joint venture between CBS Corporation and Warner Bros. Entertainment, announced today a new multi-year content licensing relationship that allows Netflix to remain the exclusive U.S. subscription television service for previous seasons of scripted series broadcast on The CW. The new relationship spans all current CW series, as well as all future programs produced for the network during the term of the new agreement, which begins with the just-completed 2015-2016 broadcast season. Starting with the 2016-2017 season, Netflix members will be able to stream full seasons for each of these programs beginning eight days after each show's season finale. Here's what Ted Sarandos, Chief Content Officer at Netflix, had to say about the deal in a statement. "Netflix members in the US love the great lineup of series from The CW, and we are thrilled to extend the relationship and bring those shows to our members exclusively now, just eight days after their season finales. This is a great step forward with a valued network partner to give fans exactly what they want, when and how they want it." Programming available to Netflix members will include the three new series on The CW's 2016-2017 primetime schedule: Frequency, No Tomorrow and Riverdale; the hit DC series Legends of Tomorrow and Supergirl, which will join Arrow and Flash; and the network's critically acclaimed Jane the Virgin and Crazy Ex-Girlfriend, featuring the Golden Globe-winning performances of Gina Rodriguez and Rachel Bloom, respectively. The roster will also continue to include fan favorites such as The Vampire Diaries, The 100, iZombie, The Originals and Reign. Here's what Mark Pedowitz, President, The CW, had to say in his statement. "Since the initial landmark deal in 2011, The CW's programming has enjoyed tremendous success and increased exposure through Netflix, and our new agreement not only continues but enhances this valuable relationship. The CW has positioned itself for the future by transforming into a true hybrid network, rooted in broadcast while fully embracing the digital and streaming habits of the viewers." The CW Television Network, a joint venture between Warner Bros. Entertainment and CBS Corporation, made its debut on September 20, 2006, as America's fifth broadcast network and is the only network specifically targeting viewers ages 18-34, a demographic highly sought after by advertisers. 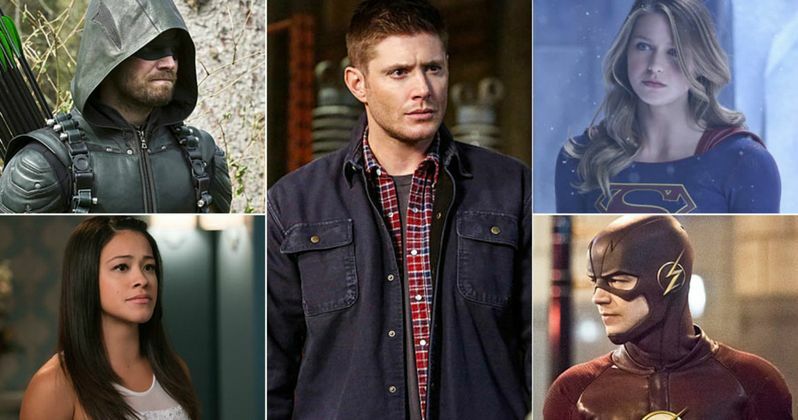 The CW offers a five-night, 10-hour primetime lineup that runs Monday through Friday. In daytime, The CW broadcasts a Monday-through-Friday afternoon block and a five-hour Saturday-morning kids block. Netflix is the world's leading Internet television network with over 81 million members in over 190 countries enjoying more than 125 million hours of TV shows and movies per day, including original series, documentaries and feature films. Members can watch as much as they want, anytime, anywhere, on nearly any Internet-connected screen. Members can play, pause and resume watching, all without commercials or commitments. Here's what Scott Koondel, Executive Vice President and Chief Corporate Content Licensing Officer, CBS Corporation, had to say in his statement. "We are pleased to extend our valued partnership with Netflix for CW programming with more CBS-produced series, led by award-winning and critically acclaimed Jane the Virgin and Crazy Ex-Girlfriend. This multi-year agreement recognizes the value of our content and it validates the marketplace's confidence in our studio's long-term ability to produce high-quality content. This unique windowing will further extend the CW brand and fan base throughout the television season while providing better in-season exclusivity for our broadcast affiliates, MVPD partners and potential OTT opportunities. We look forward to continued success with Netflix on this partnership well into the future." Warner Bros. Entertainment is a global leader in all forms of entertainment and their related businesses across all current and emerging media and platforms. A Time Warner Company, the Studio stands at the forefront of every aspect of the entertainment industry from feature film, television and home entertainment production and worldwide distribution to DVD and Blu-ray, digital distribution, animation, comic books, video games, product and brand licensing, and broadcasting. Here's what Jeffrey Schlesinger, President, Warner Bros. Worldwide Television Distribution, had to say in his statement. "For the past several years, the distinctive, high-quality shows we have been producing for The CW have proven their popularity across linear, on demand and digital properties here and around the world. This new deal will provide consumers enhanced access to compatible programs like Supergirl and DC's Legends of Tomorrow, while increasing the value of both in-season rights on The CW and prior seasons on Netflix." CBS Corporation is a mass media company that creates and distributes industry-leading content across a variety of platforms to audiences around the world. The Company has businesses with origins that date back to the dawn of the broadcasting age as well as new ventures that operate on the leading edge of media. CBS owns the most-watched television network in the U.S. and one of the world's largest libraries of entertainment content, making its brand - "the Eye" - one of the most recognized in business. The Company's operations span virtually every field of media and entertainment, including cable, publishing, radio, local TV, film, and interactive and socially responsible media. CBS's businesses include CBS Television Network, The CW (a joint venture between CBS Corporation and Warner Bros. Entertainment), CBS Television Studios, CBS Global Distribution Group (CBS Studios International and CBS Television Distribution), CBS Consumer Products, CBS Home Entertainment, CBS Interactive, CBS Films, Showtime Networks, CBS Sports Network, Pop (a joint venture between CBS Corporation and Lionsgate), Smithsonian Networks, Simon & Schuster, CBS Television Stations, CBS Radio and CBS EcoMedia.